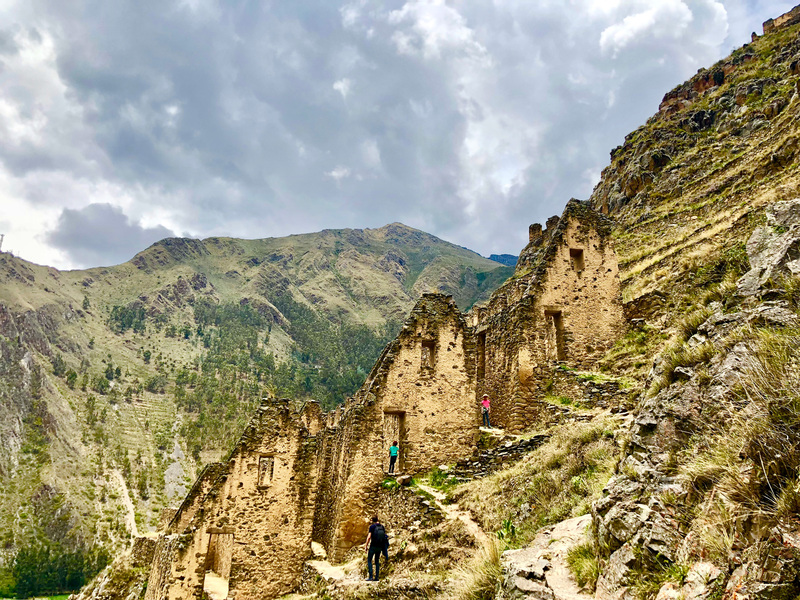 Kids play - Global Happiness Family - Traveling family finding sustainable development goals around the world. We try to travel light, so we only brought a few small toys and games on our worldtravels. 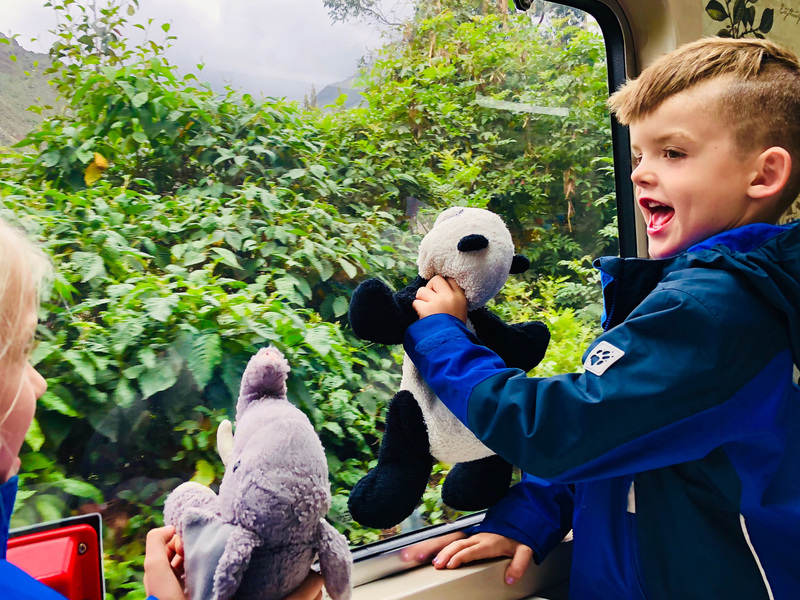 The kids use their imagination a lot and in this photo they are playing roleplays with their Elephant and Panda, in the train to Aguas Calientes. Can you guess where this train is taking us?